This title offers illustrating problems and solutions. 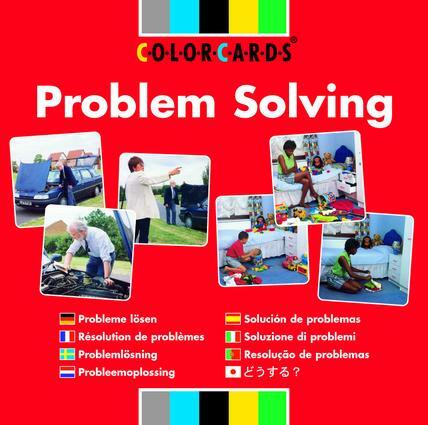 Illustrating problems and two possible ways of solving them, this pack of 48 cards is ideal for use in the classroom or clinic with children and adults of all ages. There are three cards in each sequence; the first shows the problem and the second shows a possible solution; while the third card introduces an alternative way of dealing with the problem depicted. woman and girl argue - they sulk, they make up. The cards are useful for understanding the need to approach problems logically, realising that problems may infludence later evenints, learning that some solutions may not please everyone involves, appreciating that feelings can influence the choices we make, and general language work.